Family owned South West homebuilder Cavanna Homes has been praised in an industry awards scheme for developing an online technology system aimed at improving health and safety standards on its construction sites. 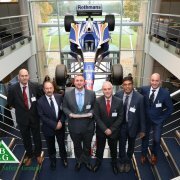 The Torquay-based firm was a runner-up in the Building Safety Group’s annual National Awards which recognise its members’ commitment to health and safety: Cavanna Homes’ streamlined health and safety monitoring system, Health and Safety Top Ten, was Highly Commended in the Best use of Technology Award. Now in its third year, the awards attracted around 100 nominations nationally, across eight categories. Cavanna Homes Build Manager Simon Collins came up with the idea of digitising the company’s health and safety recording system, allowing closer scrutiny of procedures, improving standards on site and the safety of all site employees. The software was developed by the company’s IT Manager Steve Youngs and took six months for the first prototype to get up and running. Since then the system has undergone upgrades and been made more user friendly. Simon joined Cavanna two years ago and now lives in Torquay, having previously been Head of Construction at Persimmon Homes West Wales. He said: “Prior to the electronic system, health and safety inspections were recorded on paper check lists that we’d check when we were on site. “I wanted a way of monitoring every site’s daily health and safety activity remotely. This means if something needs to be done, we pick up on it immediately at head office, rather than the next time we’re on that site. “The system has allowed us to access the live health and safety records of every site to make sure that all the checks and paperwork are being done and everyone is safe. Cavanna Homes employs 115 staff from its Torquay headquarters with around 250 contractors currently working on sites across Devon including 504K in Plymouth, Fusion in Paignton, Primrose Hill in Torquay, Greenspire at Clyst St Mary near Exeter, Market Quarter at Holsworthy and Meadow Haze in Woodbury, near Exeter. 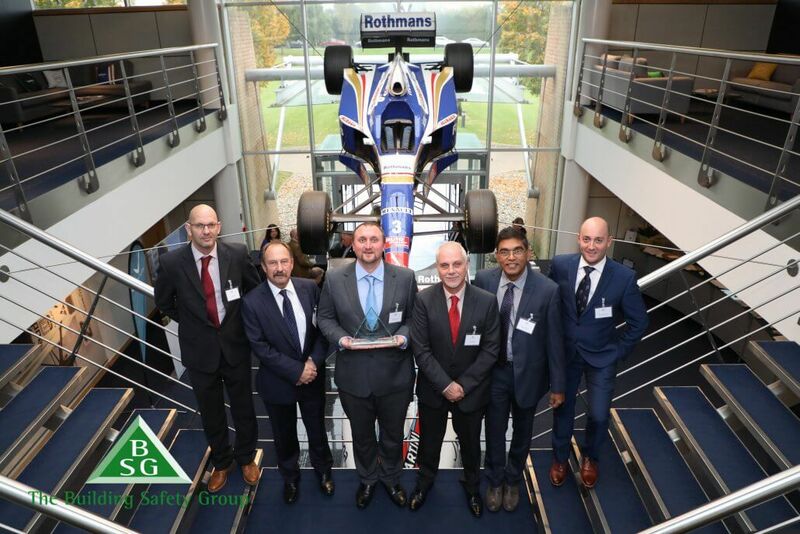 The Building Safety Group is the construction industry’s largest construction safety group. Each year, group members can nominate their health and safety achievements to be part of the awards scheme. Cavanna Homes Health and Safety Manager, Richard Henderson, said: “The electronic system has been so important in allowing our site managers a digital tool that is both live and can be shared globally improving vigilance and safety on site.